Climategate 2.0 | Watts Up With That? 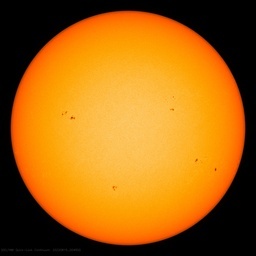 January 14, 2012 in Climategate, Michael E. Mann. About 2,500,000 people visit the Museuem of Modern Art (MoMA) in New York every year. This blog was viewed about 31,000,000 times in 2011. If it were an exhibit at MoMA, it would take about 12 years for that many people to see it. December 31, 2011 in Announcements. December 22, 2011 in Climategate. December 6, 2011 in Climategate, Technology. December 4, 2011 in Climategate. December 2, 2011 in Climategate, hurricanes. Science at work: "Tuning may be a way to fudge the physics"
November 30, 2011 in Climategate.